Wayne Homes announces donation to charities on behalf of their customers through the ‘Not-So-Random-Acts of Kindness’ campaign. Uniontown, OH – Wayne Homes, an Ohio-based custom home builder that specializes in on-your-lot custom homes, has announced a donation of more than $12,000 on behalf of their clients, benefiting 14 national and local charities, through the company’s Not-So-Random-Acts of Kindness program. The Not-So-Random Acts of Kindness program began on November 26 and ran through December 31, 2018. For every home sold during the promotion, Wayne Homes donated $150 to the buyer’s charity of choice. This year, over 80 families participated in the campaign. Donations were made to several charities, including St. Jude Children’s Hospital, The American Cancer Society, Wounded Warrior Project, and a number of local charity foundations and humane societies. Wayne Homes has held the Not-So-Random Acts of Kindness promotion for eleven years and has donated more than $70,000 to charities through this program alone. The Not-So-Random Acts of Kindness program is one of the many community involvement programs Wayne Homes carries out every year. With this program, Wayne Homes hopes to make a meaningful difference to those less fortunate during the holiday season. 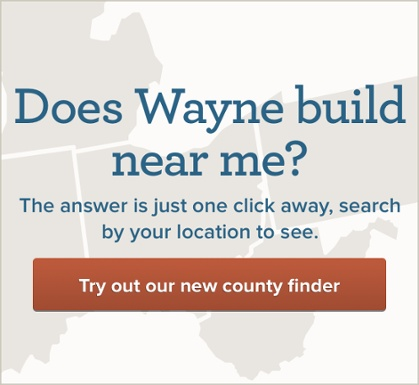 For more information about Wayne Homes community involvement programs, Ask Julie by live chat. To find out more about becoming part of the Wayne Homes team, see current job opportunities.